The first patent for the Actuated Globe Valve was issued in February of 1870 to J.H. Davis.Piping systems are used in many functions, including plumbing. Many piping systems are designed to control and direct the flow of a liquid as it enters and exits other parts of a system. A globe valve can be used to manage liquid flow. For example, a temperature control on a large cooker in a food plant may modulate steam in a jacket on the cooker. The temperature controller would adjust the steam valve to achieve the proper cooking temperature. Glove valve halves are separated by a baffle, a device composed of a seat and plug. The plug, or disc, fits into the circular seat to close off the valve and stop the flow of a fluid. The plug can be adjusted in this position to partially stop fluid, completely stop fluid or allow it to flow freely. Globe valves were originally named according to their spherical, or globe shape. 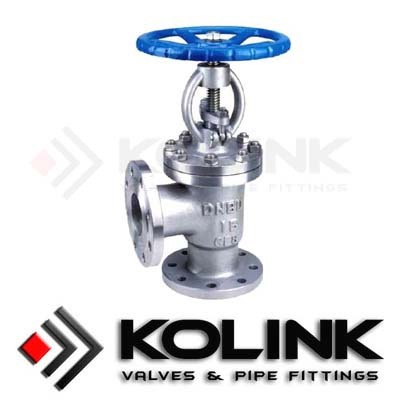 Most Angle Globe Valve that are currently manufactured no longer have a spherical shape, but are still referred to as globe valves if they have an internal baffle or use a similar mechanism. Cryogenic Globe Valve are used in every configuration and in every material including steel, stainless steel, iron, brass, and even plastic and ceramics. They can be as inexpensive as several dollars each in a hardware store to thousands of dollars for specialty valves. They are the most common of throttling control valves.